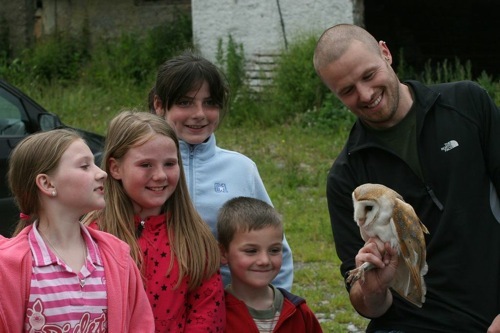 BirdWatch Ireland is the largest independent conservation organisation in Ireland. Their aim is the conservation of wild birds and their natural habitats. Established in 1968, they currently have over 14,000 members and supporters and a local network of over 20 branches nationwide. BirdWatch Ireland are involved in many conservation projects which aim to protect Ireland’s birds and their habitats. This work enables them to report on the status and distribution of wild birds in Ireland and, through their policy and advocacy work, is used to influence others who have the ability and power to protect and enhance biodiversity. BirdWatch own or manage an increasing number of reserves which protect threatened habitats and the birds that rely on them. Further details are presented in their Reserves Section. Birdfood, feeders, books and other sales goods are available. Please see the on-line shop for details. Sales catalogues are available upon request. You can also visit the BirdWatch Ireland shop in Newtownmountkennedy, Co. Wicklow. You can also help BirdWatch by donating, volunteering or sponsoring them for a project. Click here for more details.